There was wild jubilation, yesterday, in Osogbo, the Osun State capital, and Ede, the country home of Senator Ademola Adeleke, the Peoples Democratic Party (PDP) candidate, who was declared winner of the September 22, 2018 governorship election in the state by the Election Petition Tribunal.Elated residents converged on Adeleke's residence, dancing and singing praises to God for the turn of events. In Osogbo, PDP members moved in a convoy, celebrating the party’s victory, as the state chapter of the party expressed delight at the victory of its candidate in the election.The Osun State Governorship Election Petition Tribunal has nullified the election of Mr. Gboyega Oyetola of the All Progressives Congress (APC) as governor of the state and declared the candidate of the Peoples Democratic Party (PDP), Senator Ademola Adeleke, as governor. The Justice Ibrahim Sirajo-led panel ordered the Independent National Electoral Commission (INEC) to immediately withdraw the Certificate of Return earlier issued to Oyetola as winner of the September 2018 governorship election.It, therefore, declared Adeleke winner of the governorship election and as the duly elected governor and ordered INEC to immediately issue him with Certificate of Return. In the majority judgment delivered by Justice Peter Obiora, the tribunal set aside the rerun election conducted on September 27, last year for being unlawful, saying the poll conducted in the seven polling units is unknown to law, because INEC has no power to conduct it. The tribunal agreed that PDP and Adeleke have established beyond reasonable doubt that INEC did not comply substantially with the Electoral Act in 17 polling units and consequently, over 2,000 votes credited to APC and Oyetola were deducted from the total votes credited to them by INEC, while over 1,000 votes said to have been scored by the PDP and its candidate were also removed from their total votes. 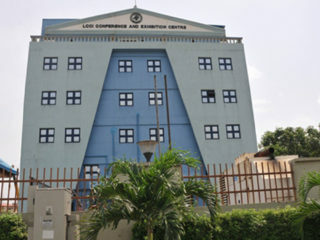 The majority judgment held that the returning officer, who cancelled the result in the affected units after the announcement, had no power to have done so.Earlier in a ruling on an objection filed against the petition by the APC, Oyetola and INEC, the tribunal held that the objection was misconceived and that the tribunal has jurisdiction to entertain the suit. 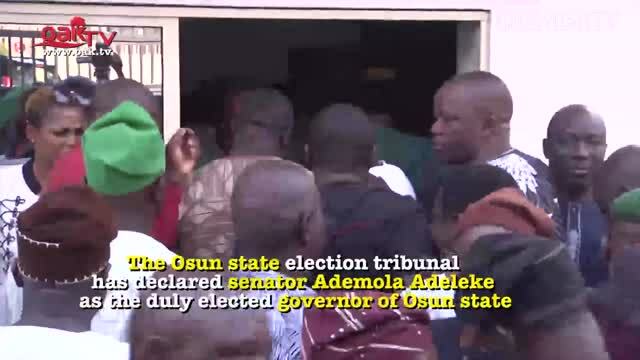 The tribunal consequently dismissed the objection.The minority judgment delivered by Justice Sirajo, Chairman of the tribunal, however, held that the petitioners- PDP and Adeleke- failed to prove how the non-compliance of non-recording in the columns of accredited votes and account of ballots in the result sheets substantially affected the final results. Justice Sirajo further stated that even when non-substantial compliance affects the outcome of the election, the tribunal, by virtue of Section 140(2) of the Electoral Act, does not have the power to subtract the votes affected by the non-compliance from the scores of the candidates and announce a winner. According to him, the tribunal only has the power to nullify the results of the polling units affected by the non-compliance and order a supplementary poll. He concluded that even if the non-compliance was substantial, the petitioners did not prove it. Meanwhile, INEC has declined comment on the matter and how the judgment could impact on today’s supplementary governorship elections in Adamawa, Bauchi, Benue, Sokoto and Kano states.Mr. Rotimi Oyekanmi, Chief Press Secretary to the Chairman of the Commission, Prof. Mahmood Yakubu, told The Guardian that the electoral body can only make a comment after receiving and analysing the details of the judgment. 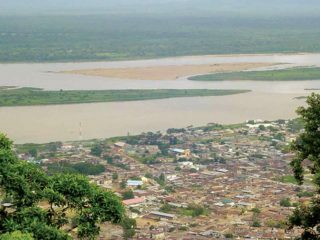 Also, the commission’s National Commissioner In Charge of Voter Education, Festus Okoye, who spoke from Bauchi, reiterated that the body would speak on the judgment after due consideration.The state government, in a statement, expressed appreciation over the teeming support of the majority of the people in all things essential for mutual progress, adding: “As it is, the administration of Governor Adegboyega Oyetola wishes to assure the people that the judgment of the tribunal has been put on appeal. “This is to further assure all the residents of the state of adequate security of lives and property, as the government of the state is still the only legitimate government having the authority to govern the state.“We assure all our people that justice will prevail at last and the law enforcement agencies have been instructed to maintain law and order across the State. “We, therefore, urge all the residents of the state to go about their lawful duties without any hindrance.”On his part, the state Chairman of PDP, Soji Adagunodo, in a statement in Osogbo, said words were not enough for members and indigenes to express themselves in appreciation of God for the victory He had given them at the tribunal, saying it was an act of God. Adagunodo said that he knew from the outset of the party's struggle for the mandate that God Almighty would do justice and had done it and dedicated the victory to God Almighty and the people of the state for their faith in the PDP and Adeleke and the judiciary. “The judgment shows that the people in the judiciary are calibres of people of impeccable character. They are the last hope of the common man and have proved themselves as such,” he added. Adagunodo, however, stated that the party was ready for appeal, if the APC decides to appeal the case, noting: “It's normal. If they decide to appeal the case, we are ready. We are testing the Nigerian judiciary and we are testing the Nigerian democracy. Meanwhile, some APC members rejected the verdict and vowed to appeal the judgment.The party's Director of Publicity, Research and Strategy, Kunle Oyatomi, said in a statement that, "The verdict cannot stand a superior legal scrutiny. Therefore, we will appeal against it. "Osogbo was calm and peaceful since the pronouncement by the court. The runner up to Adeleke during the party’s primary, Albert Adeogun, said the court verdict indicated that the judiciary is the last hope of the common man and lauded it for upholding the rule of law.He urged the people to be expectant of good governance that his party would offer to enhance the development of the state. Similarly, former deputy national chairman of PDP, Chief Olabode George, commended the judiciary for declaring Adeleke winner of the election.Speaking in Lagos, yesterday, George said the verdict was a victory for democracy and affirmation of the wishes of Osun State people in the election. 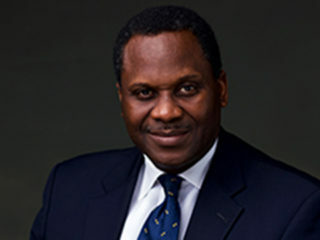 A chieftain of the party and former minister of Transport, Chief Ebenezer Babatope, commended the courage of the judiciary “in righting the wrongs committed against the party during the governorship election.”Babatope noted the truth had prevailed at last, saying the APC thought it could run away with the PDP’s hard-won victory in the contest. In the same vein, governor-elect of Oyo State, Mr. Seyi Makinde, said the judiciary might end up being the beacon of democracy in Nigeria in the foreseeable future.In a release signed on his behalf by Mr. Dotun Oyelade, the governor- elect said the pronouncement of the tribunal would reverberate through history, because the judgment was not only a validation of an obvious plebiscite, but it was also a resistance to jack-knee democracy spreading across the land. Makinde said Nigerians should brace up for more shocking judicial judgments that would redirect our traumatised nation along the path of free and fair elections, which appear to be alien to contemporary Nigerian leaders.Also, Lagos based lawyer, Chris Okeke, said the judgment signals a bright day for all Nigerians, noting: “Let's not look at it from the narrow lens of party politics; it should be seen from the broader perspective of Nigeria. “As for its value as precedent, while the decision might seem on the surface to invalidate the run-off elections, which are scheduled to be conducted in some states today, it is important not to lose sight of its context.